Happy Wedding Day Prince Harry & Meghan Markle! NASA’s Terra satellite captured clear skies over London, England, today, Saturday, May 19, 2018, the day of Prince Harry and Meghan Markle's royal wedding day. This natural-color satellite image was collected by the Moderate Resolution Imaging Spectroradiometer (MODIS) instrument that flies aboard the Terra satellite. 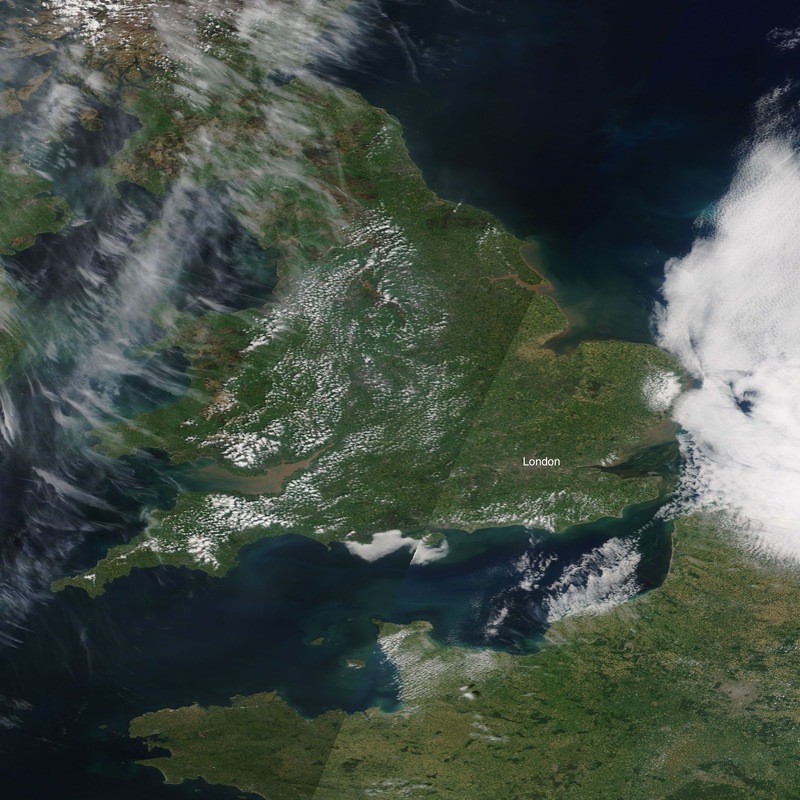 The image shows mostly clear skies over London and allowed MODIS a nearly unobstructed view of the site of the royal wedding. According to Met Office, the UK's national weather service, an area of high pressure over the North Sea will bring largely dry and mild conditions to the United Kingdom on Saturday, May 19, 2018.